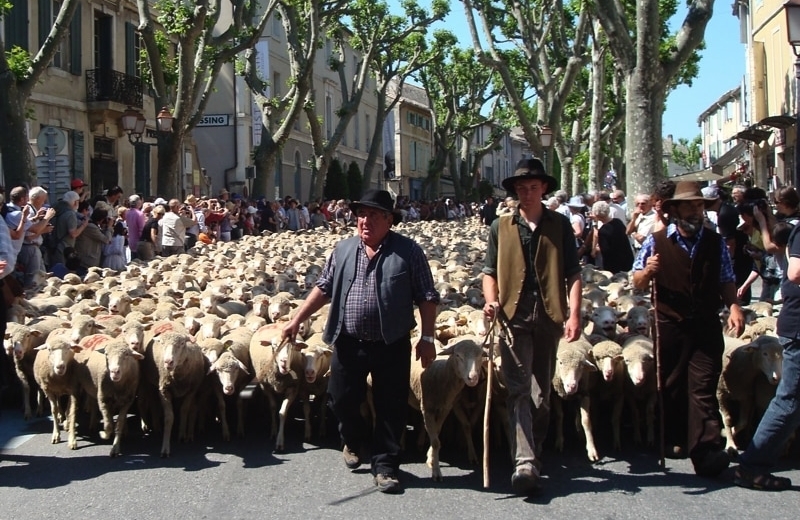 Discover “la transhumance” – the migration of sheeps and the celebration that goes with it in Saint Remy de Provence. I was in St. Remy de Provence the Monday after Pentecost – a religious holiday. A local guide, Marlene, mentioned a special “not-to-be-missed event” – the Fête de la Transhumance (migration of sheep) – that takes place in this small village every year. I made a quick note of it, but later the next week, I didn’t give it another thought as I walked around the colorful Monday market in the Place Republique. So many beautiful displays: straw baskets, local food products, olive oil, wine, soap, fabrics, linens, blankets, pillows, clothes. I was buying some Castelas olive oil (my favorite from St. Remy) when the noise began – the bruit of bleating, bells and excited people. I followed the crowd rushing to the main street, not sure what I was about to witness…I had forgotten what the guide told me. A flowing wave of hundreds of sheep huddled tightly together, moving steadily amongst colorfully dressed shepherds holding their staffs. Even children in local costumes and black and white sheep dogs walked alongside the “herd.” What a parade! 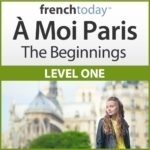 What is “la Transhumance” in France? The age-old custom of the transhumance is the migration of sheep and shepherds from low pastures to higher ground. Traditionally, shepherds begin to move their flocks up into higher pastures in May or early June before that hot, sunny Provençal weather dries the grasses and water becomes scarce. The sheep and other animals spend the summer in cooler, lusher pastures of the Alps before migrating back down to the low land again back around October. In years gone by, the trek would take 10 to 15 days but in lots of places the sheep are usually transported to the high pastures by truck. The old tradition of watching the transhumance is still celebrated in Saint Remy de Provence on Pentecostal Monday. Usually, the migration includes over 3,500 sheep, some donkeys, goats, sheep dogs and shepherds. Ah… la belle France… serendipitous events like this happen wherever you travel. Always listen to the local guide and read your notes!